Well it's all over for another year. I expect planning will start in earnest for the 2018 show. 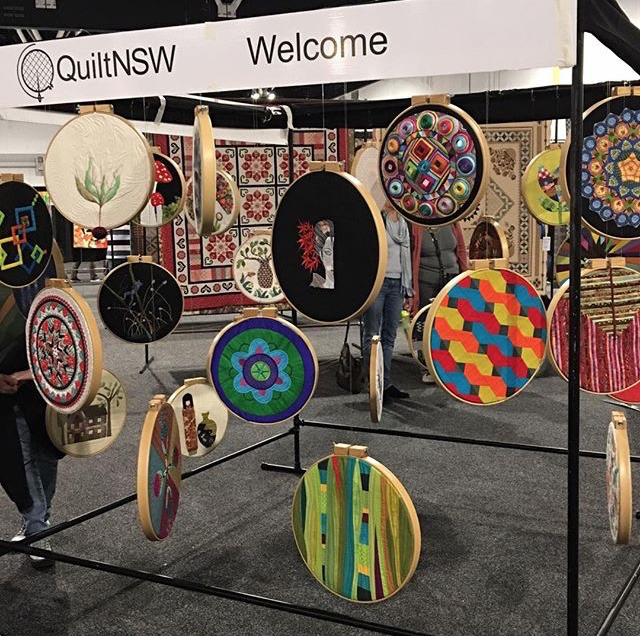 And didn't Quilt NSW put on a beauty with the ever professional Expertise Events. So I was there for set up on Wednesday. This is a great experience. Not only do we get to see how everything goes together, but we get an opportunity to preview all the fantastic quilts that are to be shown. By this stage judging was already done and dusted. 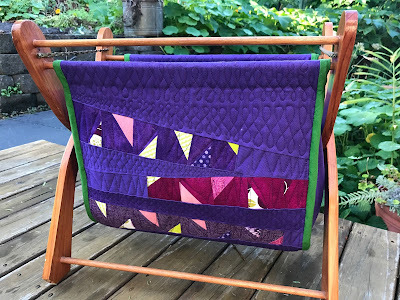 There's no way of telling which ones were lucky enough to receive awards, but for me, everyone deserves an award for fronting up and entering a quilt into the show. It's a wonderful feeling seeing your own work hanging amongst such accomplished artists and peers. 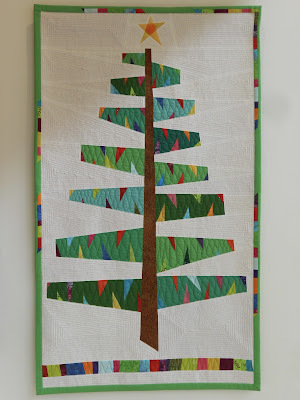 I also had another entry in the Combined Pieced and Appliqued Quilt category. This one is called 'Sunshine Orange Pop'. It definitely belongs in the sun. I recommend everyone make a quilt using this colour......it made me so happy whenever I was sewing. Just so I don't disappoint, there's close ups of this one too. This bright orange sure did stand out in the crowd! Here it is hanging in its place on the stand. We can attribute this great display to Bob James, and of course all the contributors of the works of art. it a bit of a face lift experimenting for a larger project with a bit of improv. This was the resulting project that was born from the chair side carrier, a Christmas quilt. Almost forgot, this is my 2016 Suit Case Challenge entry. It was also part of the larger quilt display this year. Made from tea bags and various recycled fabrics from the 50's, 70's and 90's, all having been used as curtains or bed linens in their prior life. 'The Best Thing Since Sliced Bread' - winner! Speaking of winners, congratulations to all those recipients of awards this year. The judges always have a difficult task. Also thank you to the sponsors. There are many and their generosity is infinite. The commitment of the committee members of QuiltNSW are also to be commended on their endless energy levels in getting this event together. Bravo! 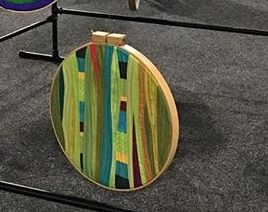 Most of all though, congratulations to those who were able to have a quilt hanging in the show. Well done. 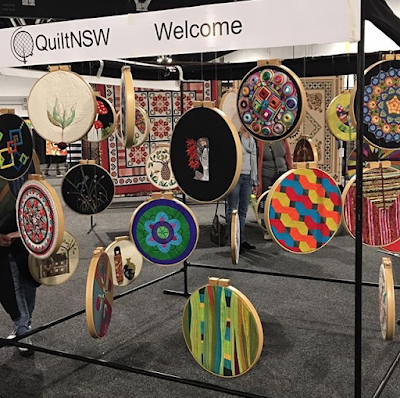 There is something like a quilt show? Have i been living under a rock? I love all the designs, they are all so unique and different to each other and my personal favorite is your entry! ©Wendy Nutt and quiltamour.blogspot.com.au, 2014. . Simple theme. Powered by Blogger.